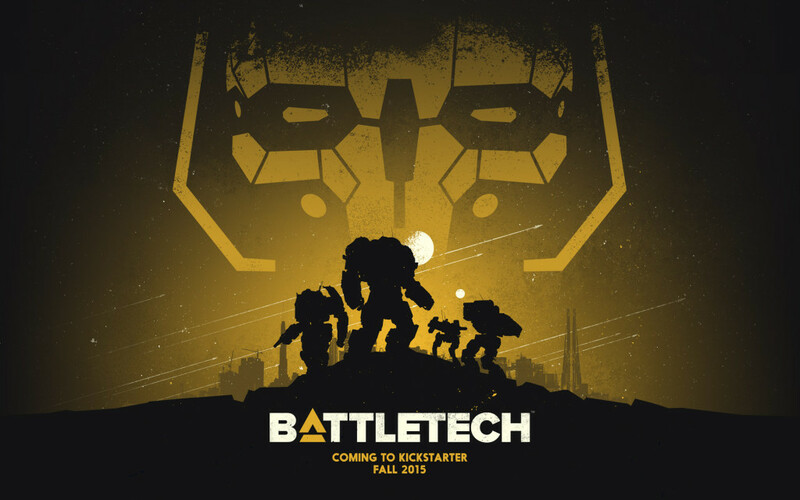 This morning, the fine folks over at Harebrained Schemes (The guys who did the amazing ShadowRun Returns games) announced (at GenCon) that they’re working on a new BattleTech/MechWarrior Turn Based Strategy game. It’s coming….soon! To a KickStarter near you. COMBAT RETURNS TO THE PC. I’d first, point out that failed or not.. MechWarrior Tactics was less than two decades ago (but, I guess since it never made it out of closed beta, it probably doesn’t count). My second thought, was whether or not HBS is re-using the MWT codebase, or starting from scratch. I’ve tried to find out (via email, and twitter), but so far, I haven’t received a response. There was confirmation from PGI (MechWarrior Online’s Developer) that they have reached an agreement with HBS to share art assets, bringing a ‘unified’ look to the MechWarrior computer game ‘franchise’ for the first time in age. Also excited to have an agreement in place with @WeBeHarebrained to bring art style consistency back to the brand. This little tidbit, also tells us that the new HBS game won’t be sit in the 3025 era (like MWT was), but will instead be in the Clan War era, where MWO is set. Little sad, because that was one of my favorite things about MWT, since I felt the 3025 era was more ‘balanced’ than the Clan era. Even though I was burned by IGP on the MWT fiasco, I still think that was a good game, and the Turn Based Strategy genre is underserved.. so, I’m looking forward to this, and will be backing it on KickStarter this fall when it goes up. Yeah, because the last MechWarrior game worked out so well, and was basically a big scam…. I don’t know, seems weird to me that they’d make another one so soon after. I know I wouldn’t back it if another one I had backed was just a big scam. Bad publisher on that one… HBS has a good track record, and has hit all of their releases on the previous Kickstarters they’ve done. No. New publisher for MWT.. they’d never released anything before.